National Pancake Day is today! So why not have some pancakes for dinner tonight! Pancake Day is celebrated on the Tuesday before Ash Wednesday each year. Pancake Day is also referred to other names like Fat Tuesday, Shrove Tuesday, etc. 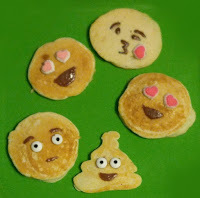 Pancake Day can be celebrated by eating pancakes, creating new recipes and sharing it with friends. Looking for some fun recipes to try out? I have four recipes below that we have made over the years! First up you will need to line a cookie sheet with either parchment paper or wax paper. Place tray in freezer until firm (30 minutes to an hour). 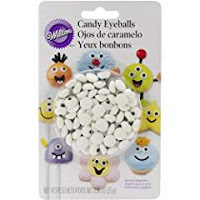 Do not remove from freezer until you are ready for them as they get sticky fast! Make the pancakes according to the Hungry Jack Buttermilk Pancake box. Spoon out a portion of pancake mixture into pan. Quickly add frozen chocolate hazelnut disc in the middle of pancake mixture. 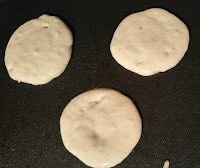 When you the pancake bubbling at the edges it is time to flip and cook the other side until golden brown. Serve warm and wait for the gooeyness to explode! No need to top with syrup! My son devoured this stack and was asking me to make more! Up next was my daughter's favorite pancake! These pancakes feature the flavor of a cinnamon bun but the fluffy texture of a pancake. They are super fun to make and the kids loved attempting to drizzle the cinnamon mixture perfectly into the pancakes. Didn't matter how the swirls came out as they still taste amazing! Prepare Cinnamon Filling first. In a medium bowl, mix butter, brown sugar and cinnamon. Scoop it into a small zip baggie and set aside. Prepare the maple sugar glaze and set aside. I just mixed the two until I got a thick consistency and a great taste. I really did not measure! Snip the corner of your cinnamon filling bag and squeeze a spiral of the filling onto the top of the pancake. When ready to serve, spoon Maple Sugar glaze on top of each pancake. 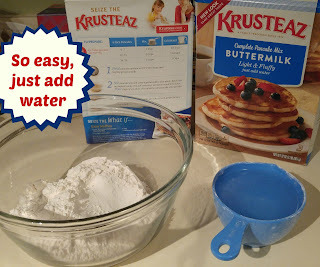 Make the pancakes according to the Krusteaz Pancake box. Prepare Chocolate Swirl Filling first. In a small bowl, melt some chocolate chips and scoop it into a small zip baggie and set aside. 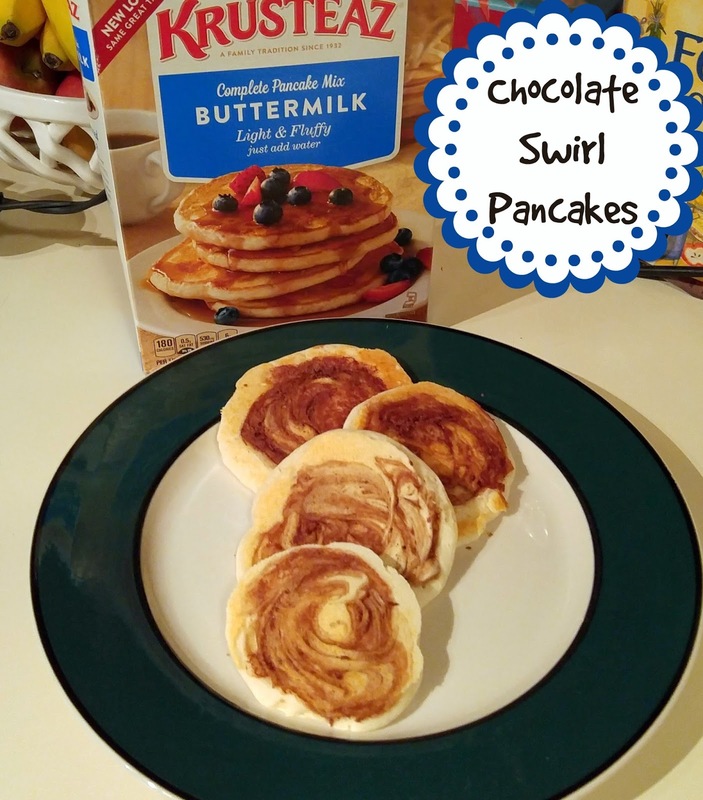 Snip the corner of your chocolate filling bag and squeeze a spiral of the filling onto the top of the pancake.